Skip ahead to 48 seconds to skip the quotes from the developers and get straight to the music and gameplay. 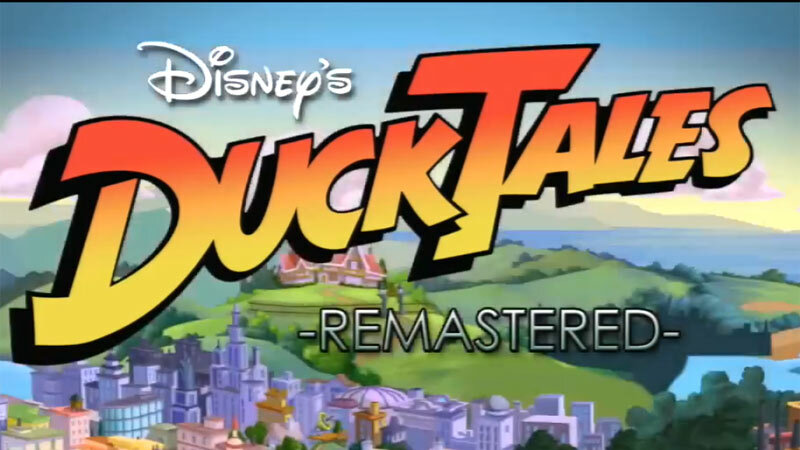 The DuckTales game originally was on the NES and I never played it. You are also probably here for the nostalgia for the game but may be like me and be even more nostalgic for the TV show. "Life is like a hurricane, here in Duckburg…" I watched the DuckTales animated show religiously whenever it was on TV as a child. Disney did an amazing job with these types of show including TaleSpin, Chip 'n Dale Rescue Rangers, and of course Darkwing Duck. Will I be purchasing the game for $15 when it comes out on consoles? Probably not. My interest lies in seeing how well WayForward Technologies can bring this game to the modern audience. If it's anything like their remake Double Dragon: NEON, they will create a polished and fun game to play, but might not sell well. Double Dragon style high-fire WayForward Technologies for getting this opportunity. You really know how to do karaoke sing-alongs!